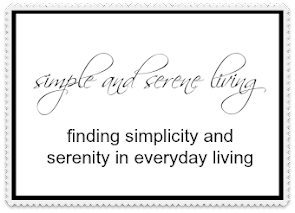 I have been out searching high and low for some wonderful new finds for my Etsy shops and look at some of the things I found. They are so wonderful I would love to keep them for myself, but you know what they say about sharing. 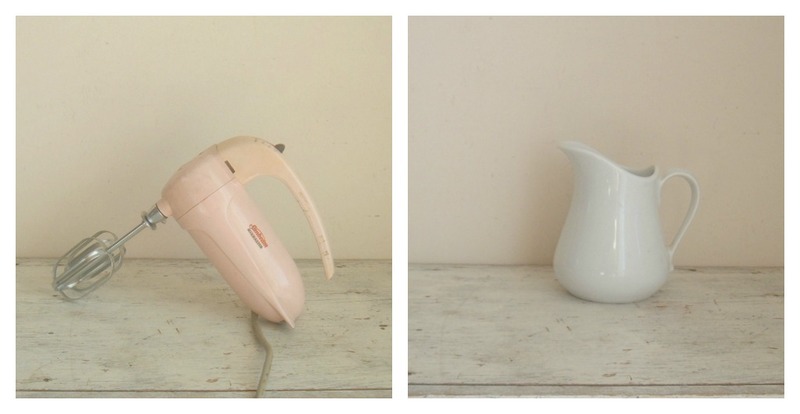 So, over the next week I will be adding these and other goodies to ImSoVintage and LittleCrookedCottage. Pickin' cool finds. Ironstone is my favorite. Oh my goodness! That train case (as my mom always called it) is just like my mom's! She would always pack her make-up etc. in it. The ice skates are great too. Someone should scoop those up for Christmas decorations. Ohhh gracious! You must have time traveled back to my house on those last two rows!! 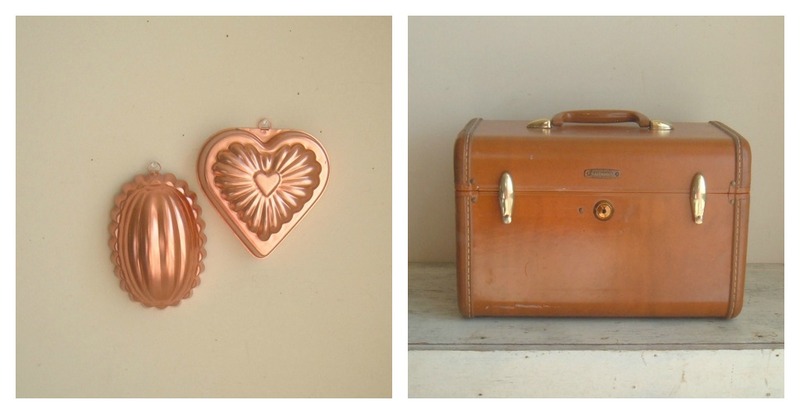 Mom ALWAYS had those copper jello molds hanging in her kitchen and the little makeup suitcase for for her knitting and sewing things. I used to have a pair of ice skates like these. I wish I'd kept them. That's a cute mixer! I used to have a pair of ice skates like these too. I found a pair at a thrift store last year to use for winter decorating outside. Great items! I like the skates the best. Oh you found some great goodies! I love that little train case! Good idea top share, that house must be getting a little crowded....lol. I love that you posted those skates, I have a pair, that someone generously sprinkled with glitter, and painted red...and needed to see something that was more neutral to visualize what I wanted to do with them now. I've been looking for some skates! Great items! Love the ice skates. 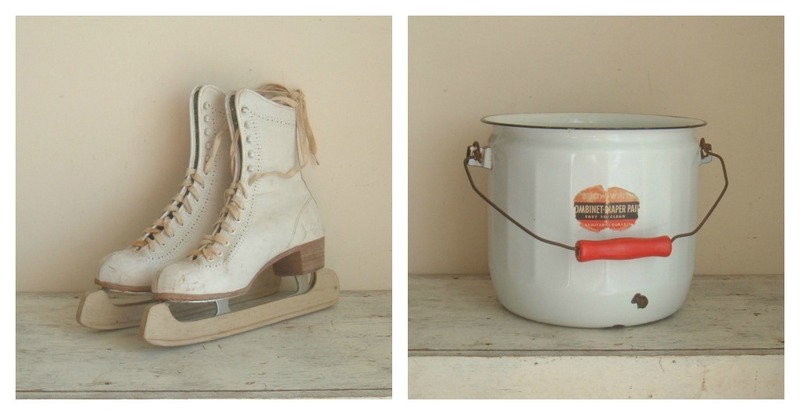 I have seen some really cute winter decorating with ice skates. I am now on a mission.